Comment: WoW! What a concept - units of government working together to deliver in one place the important flood related information that they own! 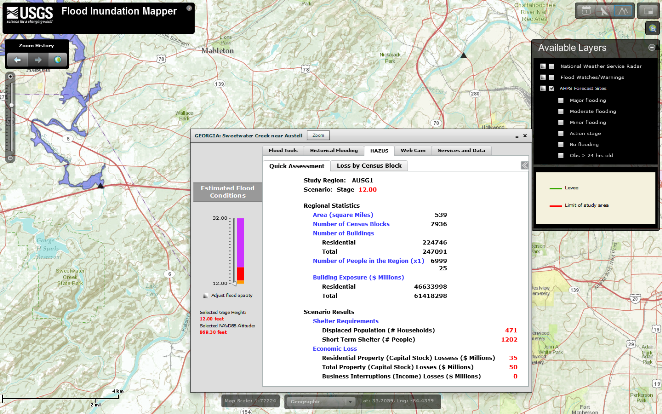 I can't say enough good things about this development and the folks at USGS, FEMA, USACE, and NWS who made it happen. Super effort! Furthermore, almost as impressive is the fact the map platform has only two select-able coordinate systems. Latitude/Longitude and ........(you'll just have to check out FIM to get the answer).